Model options include basic and timer control. 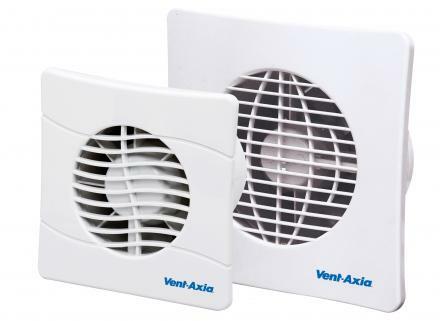 100mm and 150mm panel axial fans for bathrooms, cloakrooms and kitchens. Slim profile only 15mm. Suitable for wall or panel mounting using the appropriate fixing kit. Single speed axial fan with integral back draught shutter for remote or light switch operation. Single speed axial fan with electronic overrun timer (5-30 minutes) and integral back draught shutter.